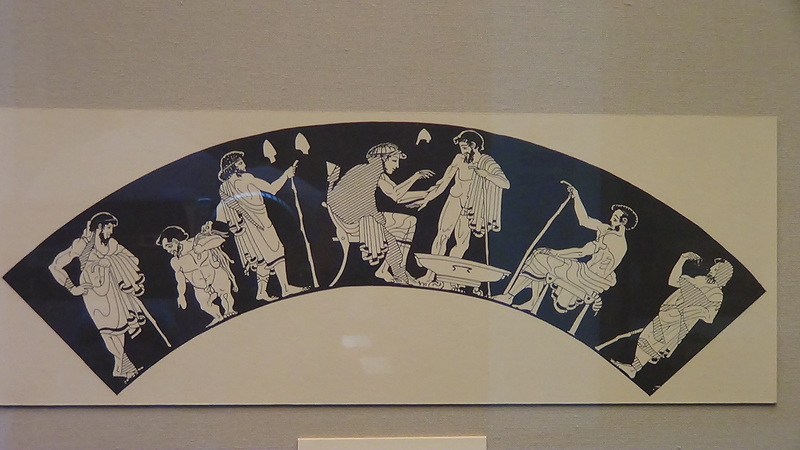 This image of a doctor’s surgery is taken from a Greek vase made in Athens about 480 to 470 BCE. On the left the dwarf can be seen ushering the patients into the surgery, where people are waiting to be seen by a physician. In the centre a seated Physician is seen treating a patient’s arm. Another patient who was already been treated and has his arm bandaged looks on. The hare or rabbit held by the dwarf may be the patients payment to the physician for the treatment he is receiving. The ancient town of Metaponto is situated on the Ionian coast of southern Italy. It was originally a Greek settlement although evidence has been found locally of occupation back to Neolithic times. 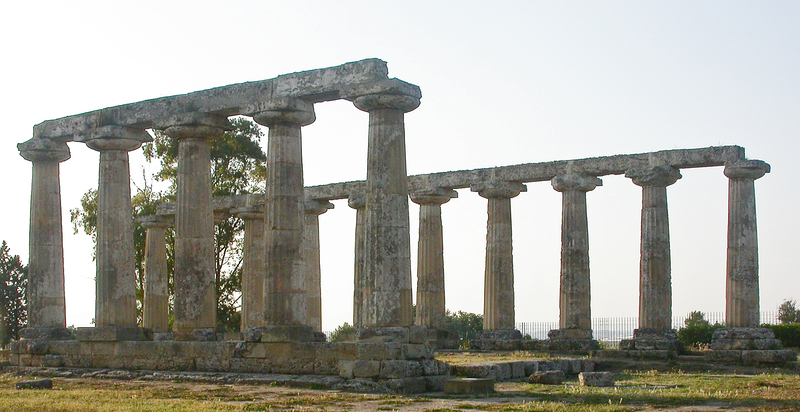 Today the outstanding remains at the site are those of the Temple of Hera, dating back to the 6th century BCE, part of a “countryside sanctuary”. 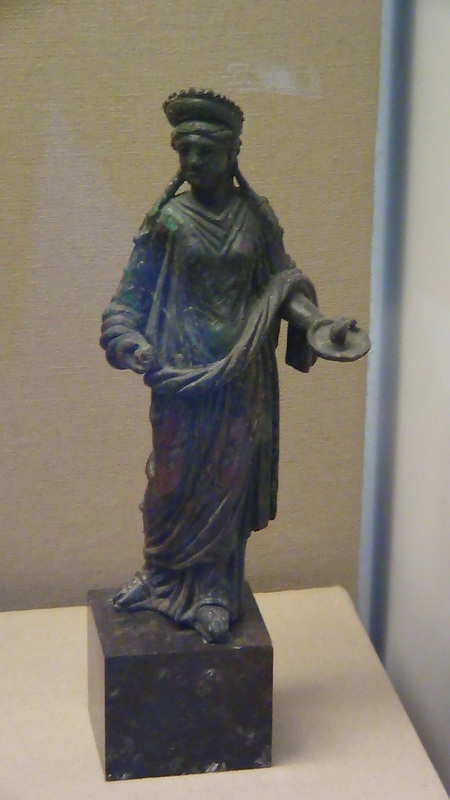 Hygieia was one of the daughters of Asclepius and was the personification of health, cleanliness and sanitation. Another of his daughters was Panacea, the goddess of the universal remedy. Hygieia has now passed into use in the English language as Hygiene and Panacea still means a universal cure-all. 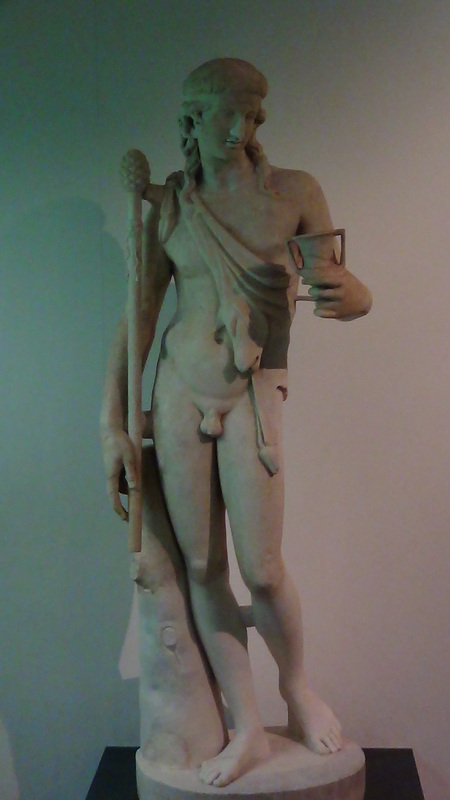 This statue is of Dionysos, the Greek god of wine, theatre and vegetation. 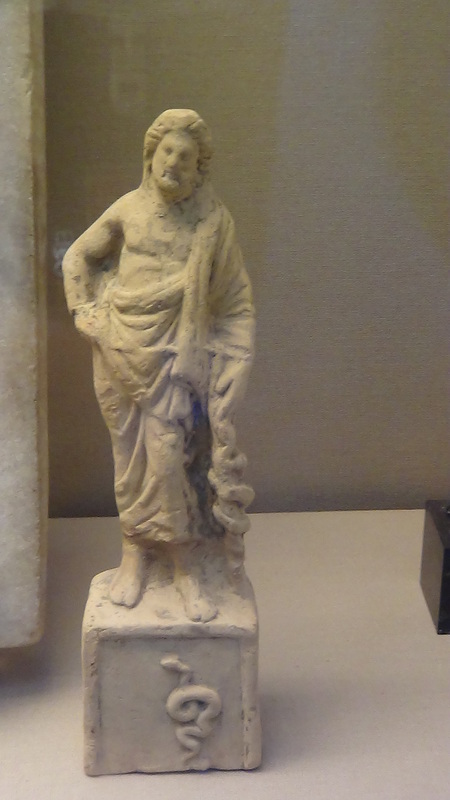 He can be identified by the fact that he is carrying a kantharos (a drinking cup) and a thyrsus (staff) with a pine cone on the top. 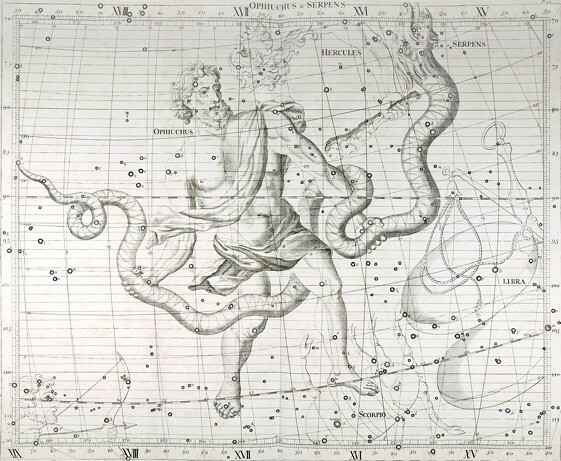 In the stories of the Greek gods. he is portrayed as quite different to the majority. Unusually legends recall that he was a vegetarian. He was renowned for wandering across the Greek lands, followed by bands of women, promoting the growth of vineyards. Also, he seems to have been a particularly revengeful God, who punished any disobedience to his will.